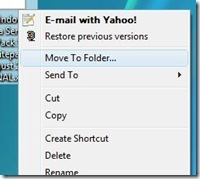 Tweak your Windows Vista! Do you want to know the easiest way to arrange your data? When arranging your files, click "Send To" menu and "Mp3" folders, "MyPictures", "MyDownloads" folders, "My documents", etc. 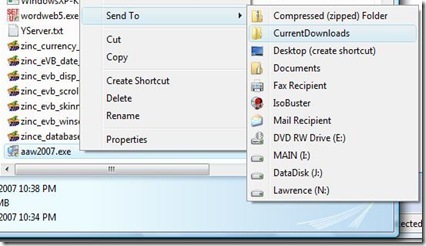 and use "Move To/Copy To" in Windows Explorers right-click menu. 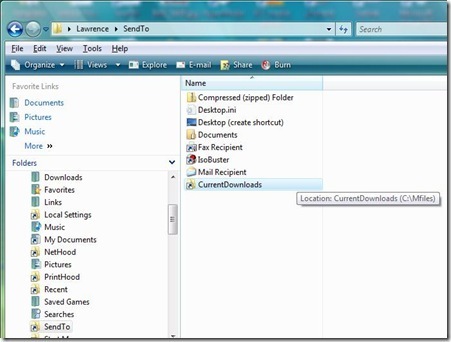 In just two clicks, you can send your files anywhere in windows explorer including the desktop. But how? In this picture I am sending my files to "CurrentDownloads" folder. 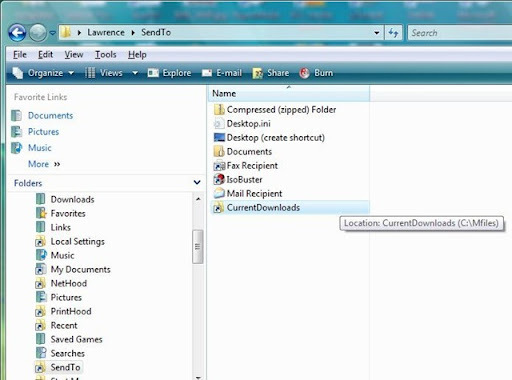 It is very useful especially if your files are scattered to different folders. Instead drag and drop, just customize your 'Send To' menu. 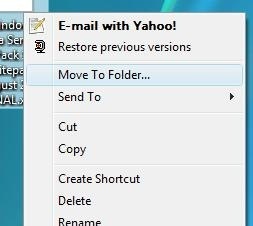 First, create a shortcut of any folder that you want. Second, open the "UserName" folder, it is the folder created by the windows that is based on the Username that you used. You can easily open that in the Start Menu->"UserName" folder. 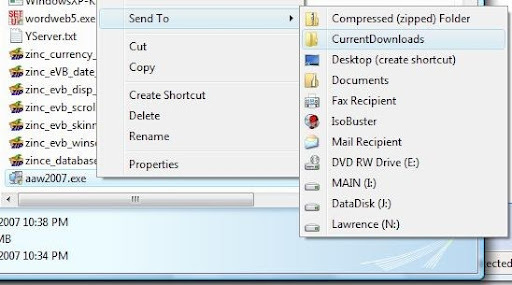 Click the "SendTo" file folder and copy the shortcut file inside. That's it! Create a shortcut, as many as you like. Customize it depends on your needs. Note: If you cannot see the "SendTo" Folder, it is hidden by default. Go to Windows Explorer->Tools->Folder Options->View Tab. Then choose "Show hidden files and folders" option. Press windows key->Run, to open the run window. type "Regedit". 4. Double click the "(Default)" name.